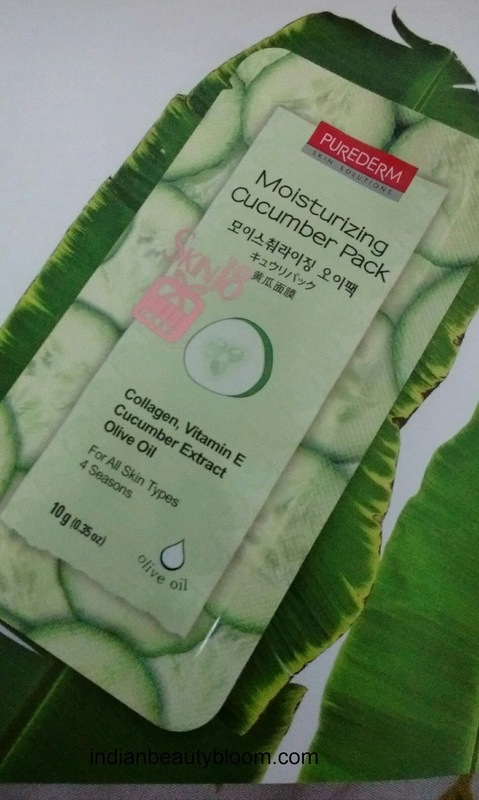 I am back with review of one more product from Skin18.Com , its Purederm Moisturizing Cucumber Pack Review . This cucumber face pack is a type of wash off face pack which has goodness of cucumber , olive oil , Vitamin E and Collagen . It moisturizes the skin , brightens it and makes it healthy . It contains water glycerine , fruit extract , cucumber extract , olive oil , collagen , vitamin E etc . One needs to wash the face then apply this on face and neck and leave it for 10 minutes and when it dries , it has to be washed with warm water . 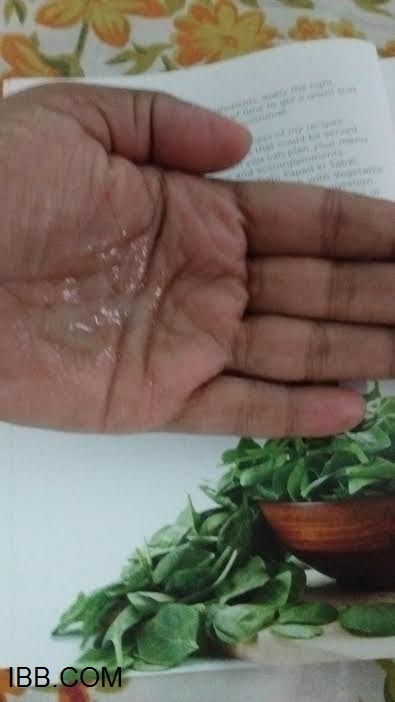 This face pack looks like aloe vera gel and has nice fragrance similar to cucumber . I followed the instructions and did what was written on the pack . After using the product , my skin looked fresh and clean . 2.Product packaging is good , its for single use only . 3.Pack it travel friendly , one can easily carry this in their bag or purse. 4. Has a nice fragrance . 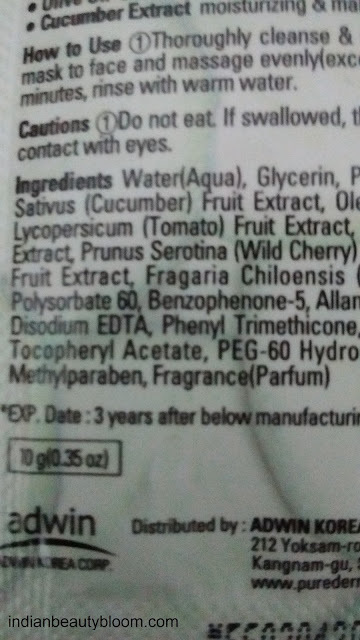 6.Contains fruit extract , cucumber extract , olive oil , Vitamin E , all good for skin . 7. Brightens the skin and makes it soft and supple . 8. It moisturizes the skin and keeps it hydrated for a long period of time . Availability might be an issue as available only on online store of Skin18.com and not on local stores or Indian websites.